Standing water in your basement or crawl space is one of your home’s worst enemies. If your lower level ever smells musty, feels damp or floods occasionally, you have an issue with moisture coming into your foundation. Weather Master & Mr. Plumber offers two options to consider when it comes to removing water from your home. 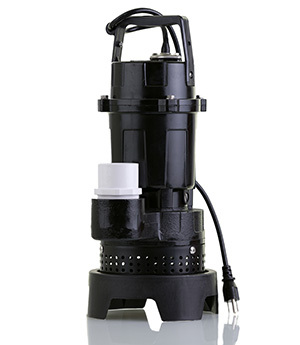 A sump pump will remove water that has found its way under your home’s foundation. Contact the experts at Weather Master and Mr. Plumber to discuss the best option for water removal from your home.